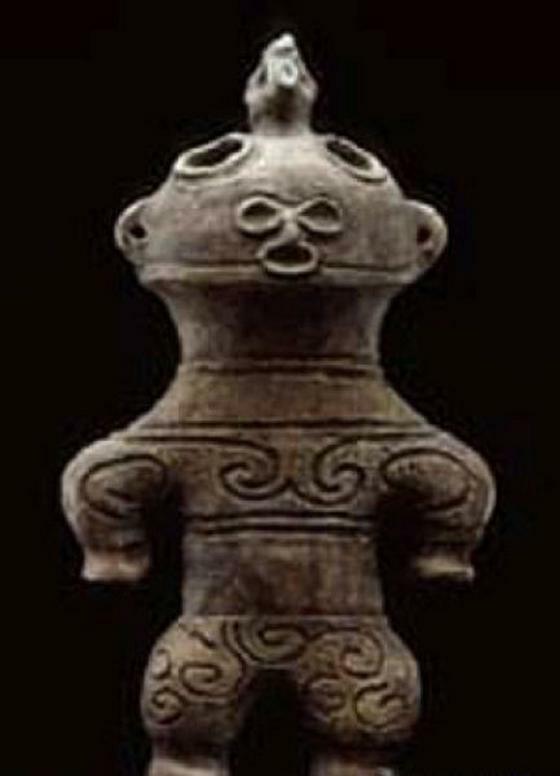 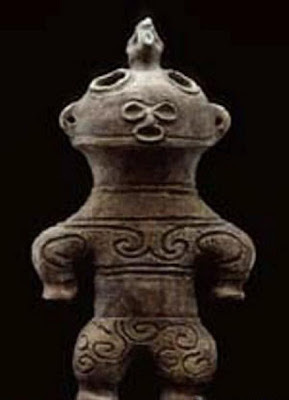 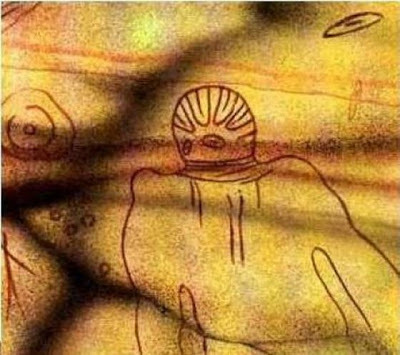 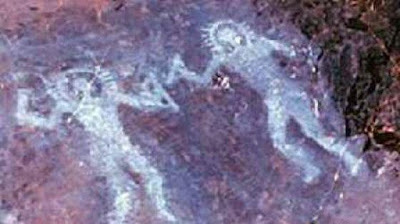 There are plenty of examples of aliens in ancient art that clearly depict the fact that UFOs and extraterrestrial beings were around in those days. 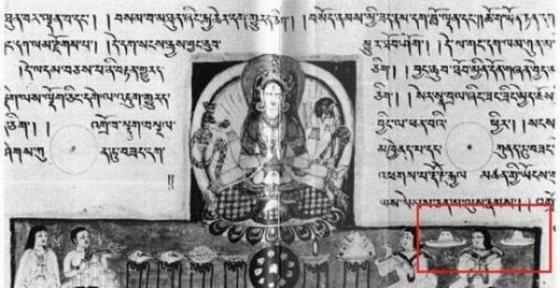 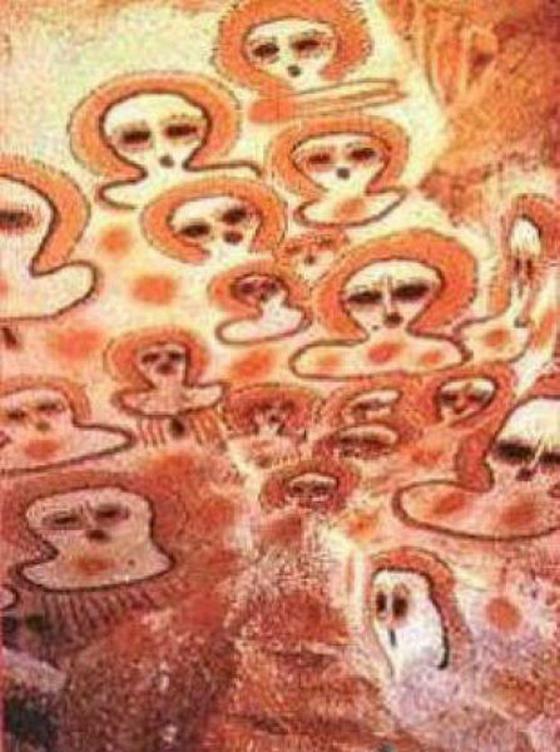 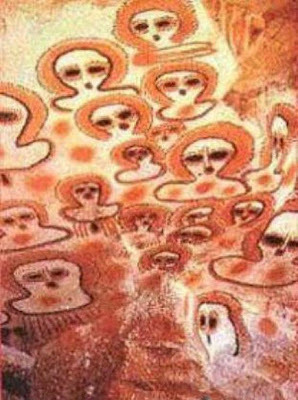 ET's and flying saucers appear in cave paintings, tapestries, woodcuts and paintings. 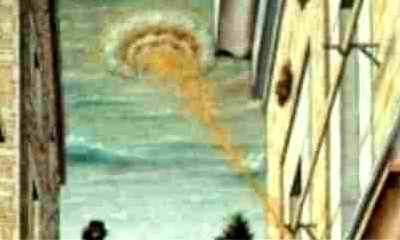 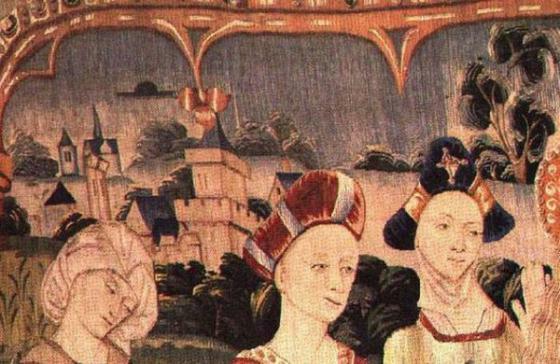 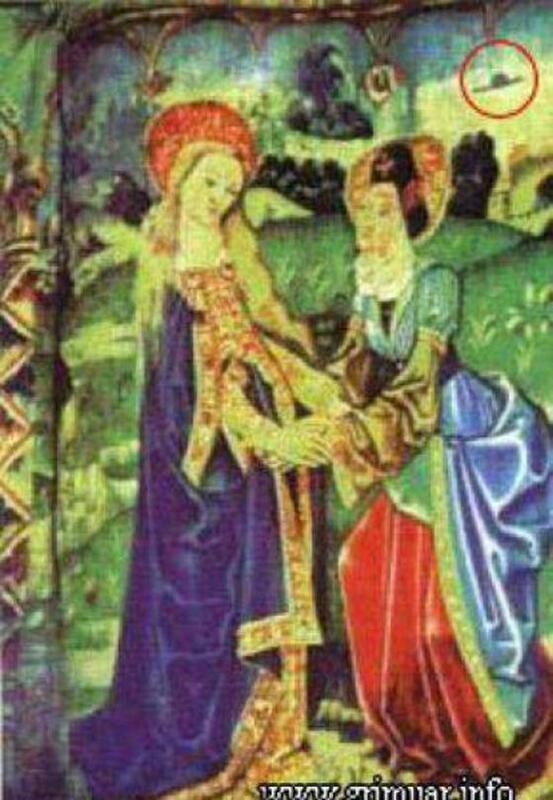 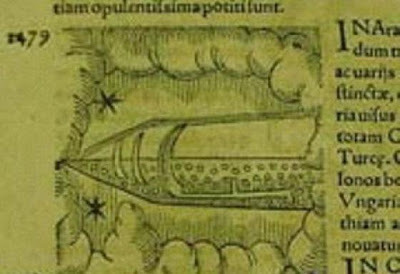 This 15th century painting of the Virgin Mary shows a UFO in the background. 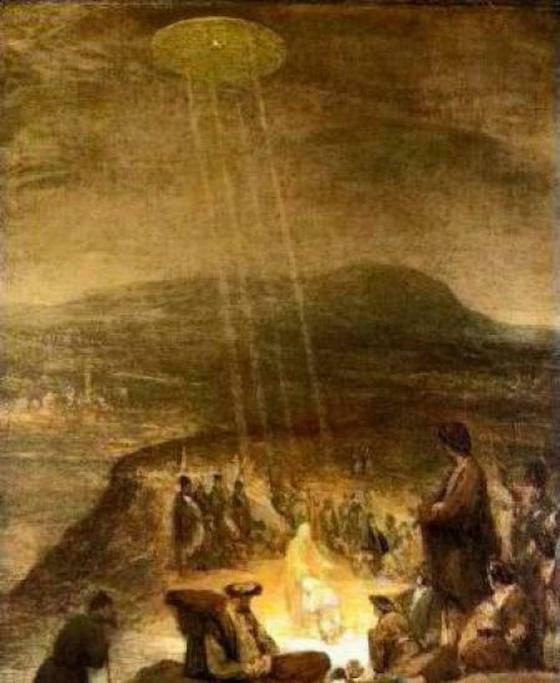 A man is pointing up at it and his dog is barking at the object. "The Baptism of Christ" was Painted in 1710 by Flemish artist Aert De Gelder depicts a classic, hovering, silvery, saucer shaped UFO shining beams of light down on John the Baptist and Jesus. 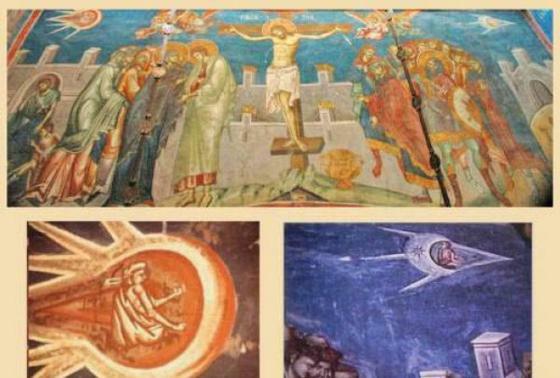 17th Century fresco depicting the Crucifixion of Christ, located in the Svetishoveli Cathedral in Mtskheta, Georgia. 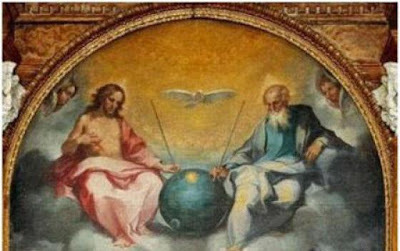 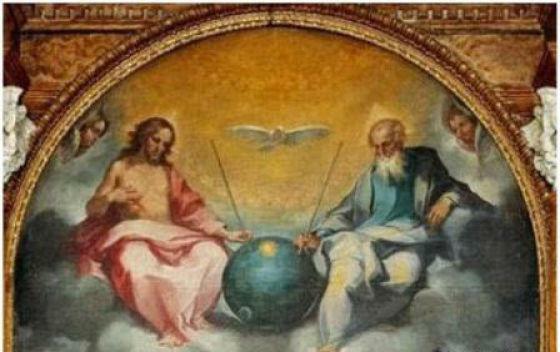 Notice the two saucer shaped objects on either side of Christ complete with stylized flames, blasting off in either direction. 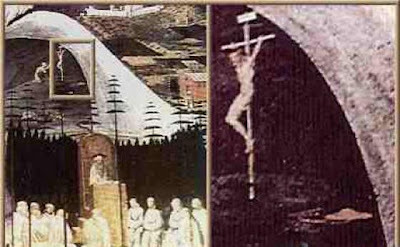 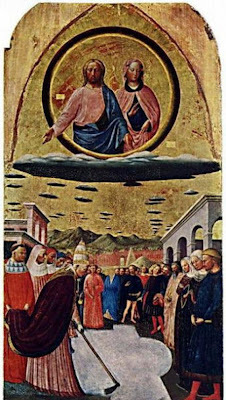 "La Tebaide" ~ Academy of Florence, painted c.1460-1465 by Paolo Uccello The close-up (right) shows a reddish, classic saucer shaped UFO near Jesus. 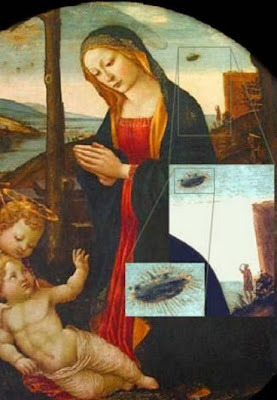 In addition, the tall pine trees in the foreground display the same patterns as seen in the lenticular clouds of other similar religious UFO paintings. 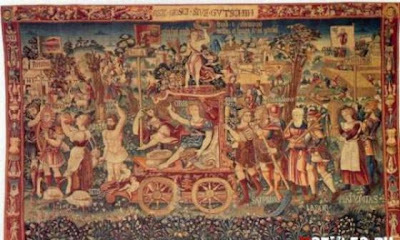 These two tapestries were created in the 15th century. Both are located at the French Basillica Notre-Dame in Beaune, Burgandy. 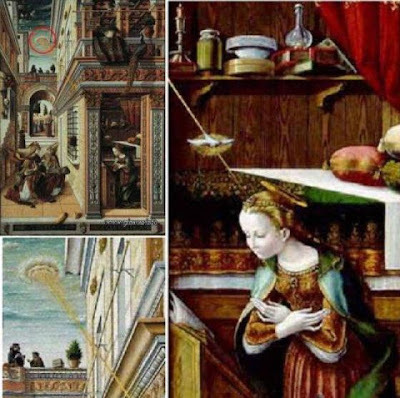 Hat shaped objects can be clearly seen in both tapestries which depict the life of Mary. 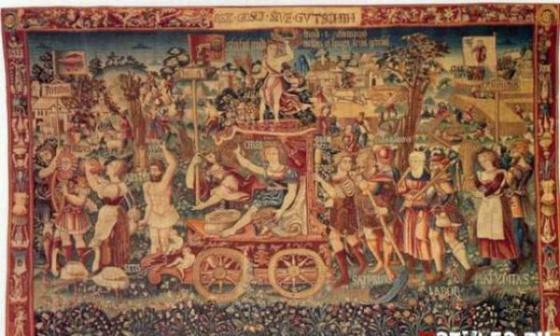 "Summer's Triumph" ~ tapestry created in Bruges, in 1538 Bayerisches National Museum. Several disc shaped objects are clearly depicted in the sky, near the top of the tapestry. 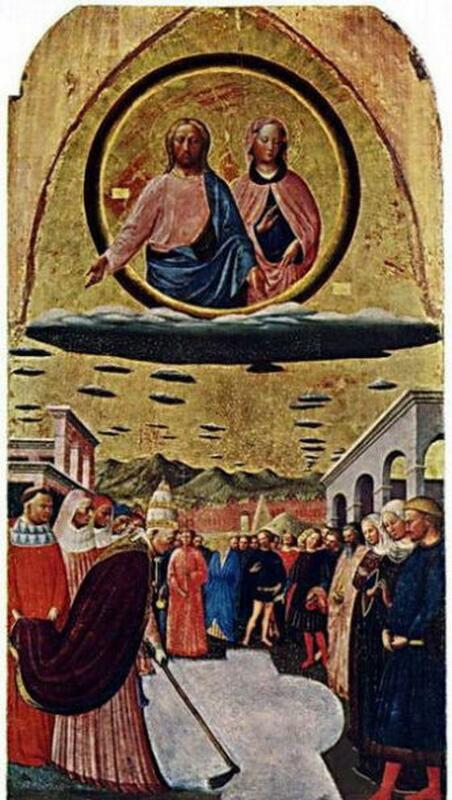 "The Miracle of the Snow" by Masolino Da Panicale circa 1400 from Florence, Italy in the Church of Santa Maria Maggiore, depicting Jesus and Mary on very non vaporous "lenticular clouds" (flat and circular), or accompanied by an armada of flying saucers stretching beyond the horizon. 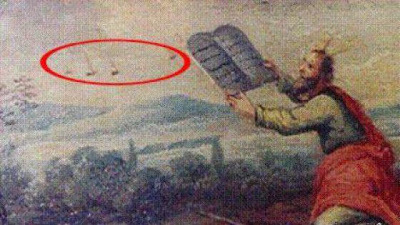 In this painting on wood drawer from furniture kept at the Earls D’Oltremond, in Belgium, Moses is depicted receiving the tablets of the Ten Commandments, with "flaming horns." 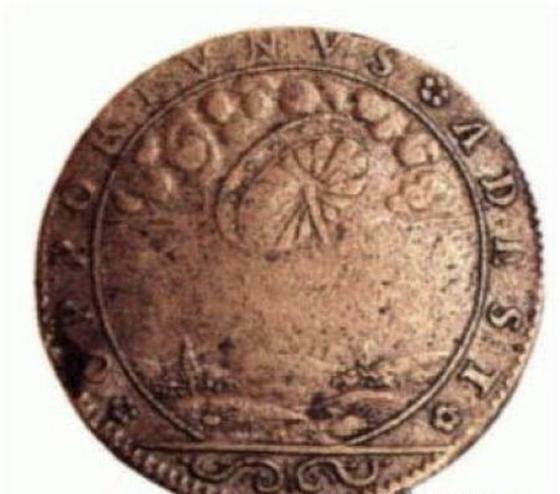 UFO Coin, 1680 French Medal apparently commemorating a UFO sighting of a wheel like object in Renaissance France.